1. Never ridicule the cult or dismiss the member's beliefs. This will only force them deeper into the cult. Show respect and interest. Question the member about the cult in detail, get them to explain everything. Through questions, help them realise the reality of what they are saying and alternatives to the cult. 2. Maintain contact no matter how bad things get. You could be their only lifeline if they try to get out of the cult. 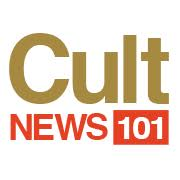 Gently explain why you don't approve of the cult, why it worries you. Its prime aim is to cut off the rest of the world, to paint it as evil. Ask them to explain cult jargon such as"outside world" to help them think about what lies behind the jargon. The family is usually painted as the worst enemy. Be prepared to work through friends to keep contact. 3. As soon as a member expresses some doubt about the cult, about its leader, its motives, its promises, pursue it. Gently question if this is what they wanted when they joined. Ask what the leader's behaviour shows about the cult. Which attractions are real, which promises are false? Is it worth the price you are paying? Can you get the benefits elsewhere? 4. Help the cultist realise making mistakes is part of being human, that you can only decide on the basis of what you know. Decisions are not irreversible.